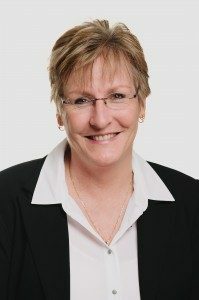 Michelle Howell is a valued and vital member of the Greg Trembath Real Estate team. Michelle has been Greg’s personal assistant for the past 10 years and her input plays a key role in maximising Greg’s productivity and keeping him organised and well-informed. “I keep one eye on the finer details and the other on making our office run as smoothly and efficiently as possible,” Michelle says. As a Licensed Agent, Michelle has an exceptional understanding of the industry. She has applied herself to continually build on her knowledge, training and experience. Organised, committed and professional, Michelle oversees all the functions of the agency. Her business, accounting and office management skills are invaluable. “Michelle’s dedication and loyalty are second to none,” Greg says, “plus she’s great at multi-tasking and works really well under pressure.” Kim agrees, describing her as a ‘dynamo’. Michelle says she enjoys the team success achieved by the agency and likes to share in the good news and happy outcomes. “It’s nice to see how excited some clients get as they move on to new things,” Michelle says. Having worked with Greg for so many years, Michelle has a good understanding of how he does things and says she is impressed with what she sees.